Physicists from the University of Zurich have discovered a previously unknown particle composed of three quarks in the Large Hadron Collider (LHC) particle accelerator. A new baryon could thus be detected for the first time at the LHC. The baryon known as Xi_b^* confirms fundamental assumptions of physics regarding the binding of quarks. The Xi baryons or cascade particles are a family of subatomic hadron particles which have the symbol Ξ and have a +2, +1 or -1 elementary charge or are neutral. They are baryons containing three quarks: one up or down quark, and two heavier quarks. They are sometimes called the cascade particles because of their unstable state; they decay rapidly into lighter particles through a chain of decays . The first discovery of a charged Xi baryon was in cosmic ray experiments by the Manchester group in 1952. The first discovery of the neutral Xi particle was at Lawrence Berkeley Laboratory in 1959. It was also observed as a daughter product from the decay of the omega baryon (Ω−) observed at Brookhaven National Laboratory in 1964. 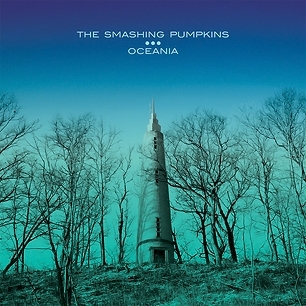 The Smashing Pumpkins will release Oceania, their seventh studio album, on June 19th. Though the record stands on its own, it was created as part of the band's ongoing 44-song work-in-progress Teargarden by Kaleidyscope, which has been released song-by-song since the end of 2009. 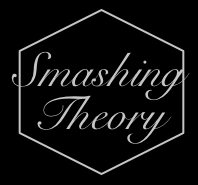 Smashing Pumpkins: "I'll have the last laugh"
When he isn’t writing demonic riffs for the Veronicas, launching pro-wrestling companies or slagging off Pavement, Billy Corgan continues to make music with The Smashing Pumpkins. This July the twitter-loving frontman will lead his Pumpkins back to our shores to headline day three of Splendour In The Grass and play alongside the likes of Jack White, At The Drive-In and Bloc Party. During the week FasterLouder gave Billy a call to ask one ‘dumb question’ and talk about new albums, spiritual biographies, girlfriends, Courtney Love, twitter and much more. Researchers at The Australian National University have developed the fastest random number generator in the world by listening to the 'sounds of silence'. The researchers -- Professor Ping Koy Lam, Dr Thomas Symul and Dr Syed Assad from the ANU ARC Centre of Excellence for Quantum Computation and Communication Technology -- have tuned their very sensitive light detectors to listen to vacuum -- a region of space that is empty. Physicists have discovered a possible solution to a mystery that has long baffled researchers working to harness fusion. If confirmed by experiment, the finding could help scientists eliminate a major impediment to the development of fusion as a clean and abundant source of energy for producing electric power. 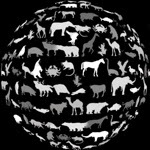 Planetary Resources, Inc. is a company that was founded in 2012 to expand Earth's resource base. As of April 20, 2012, only a list of major investors and advisors is known; a number of the project's backers are notable for their entrepreneurship and interest in space, exploration, and research. Some also have previous involvement in space research. It is speculated that Planetary Resources is "looking for ways to extract raw materials from non-Earth sources," as the means by which it would (as stated in its press release) "add trillions of dollars to the global GDP." There is speculation they are looking into mining asteroids, with one source reporting anonymous verification of that claim. The company has scheduled an "announcement" for Tuesday, April 24th 2012 at the Museum of Flight in Seattle, Washington. Tickets for this event were offered for sale to the general public, at a basic price of (U.S.) $25.00. There is an eponymous website, registered on February 22nd, 2012, by an entity calling itself Anderson Astronautics. At present, the publicly-accessible area of the site includes only a title-page. This has the company logo, a notice for the April 24 announcement, some basic contact information, and a "sign-up" form, for those who wish to be notified of new developments via email. Joining involves an email confirmation process, which gives access to a basic "user settings" page at the site. Changes to the website have been promised for the day of the announcement. Graphene, a single-atom-thick layer of carbon, has spawned much research into its unique electronic, optical and mechanical properties. Now, researchers at MIT have found another compound that shares many of graphene’s unusual characteristics — and in some cases has interesting complementary properties to this much-heralded material. Approximately every 11 years the magnetic field on the sun reverses completely -- the north magnetic pole switches to south, and vice versa. It's as if a bar magnet slowly lost its magnetic field and regained it in the opposite direction, so the positive side becomes the negative side. But, of course, the sun is not a simple bar magnet and the causes of the switch, not to mention the complex tracery of moving magnetic fields throughout the eleven-year cycle, are not easy to map out. The Mariana Trench's Challenger Deep—the deepest point on Earth—looks as bleak and barren as the moon, according to James Cameron, who successfully returned just hours ago from the first solo dive to the ocean abyss. At noon, local time Monday (10 p.m. ET Sunday), the National Geographic explorer and filmmaker's "vertical torpedo" sub broke the surface of the western Pacific, some 200 miles (322 kilometers) southwest of Guam. "In the Family" centers on one of the notable performances I've seen — if, indeed, it is a performance. Perhaps Patrick Wang is exactly like that. Then he must be a very good man. He wrote, directed and stars in the film, but it's not a one-man show. It is about the meaning of "family." This is his first feature, and may signal the opening of an important career. Imagine owning a television with the thickness and weight of a sheet of paper. It will be possible, someday, thanks to the growing industry of printed electronics. The process, which allows manufacturers to literally print or roll materials onto surfaces to produce an electronically functional device, is already used in organic solar cells and organic light-emitting diodes (OLEDs) that form the displays of cellphones. Scientists have speculated that the human brain features a "God spot," one distinct area of the brain responsible for spirituality. Now, University of Missouri researchers have completed research that indicates spirituality is a complex phenomenon, and multiple areas of the brain are responsible for the many aspects of spiritual experiences. Based on a previously published study that indicated spiritual transcendence is associated with decreased right parietal lobe functioning, MU researchers replicated their findings. In addition, the researchers determined that other aspects of spiritual functioning are related to increased activity in the frontal lobe. Billy Corgan is a modern rock icon, having led The Smashing Pumpkins to phenomenal success in the '90s with classic albums including Siamese Dream and Mellon Collie and the Infinite Sadness, until their dramatic split in 2000. After a stint leading new group Zwan, the prolific songwriter revived the Pumpkins in 2005 and continues to create new music with the band despite being the only founding member still in the line-up. Never one to follow convention - which has sometimes put him at odds with fans and the media - Corgan discusses his motivation for keeping The Smashing Pumpkins alive, how he feels about playing the band's old material, and their forthcoming album Oceania. On Friday the 13th (April 2012), Crestfallen.com interviewed Billy Corgan over the phone. The interview lasted for well over an hour and covered the reissue process, an in-depth look at the Lucky 13 project, the upcoming release of Oceania, and much more. Researchers from the Department of Chemistry at the Royal Institute of Technology (KTH) in Stockholm, Sweden, have managed to construct a molecular catalyzer that can oxidize water to oxygen very rapidly. In fact, these KTH scientists are the first to reach speeds approximating those is nature's own photosynthesis. The research findings play a critical role for the future use of solar energy and other renewable energy sources. Scientists at TU Delft's Kavli Institute and the Foundation for Fundamental Research on Matter (FOM Foundation) have succeeded for the first time in detecting a Majorana particle. In the 1930s, the brilliant Italian physicist Ettore Majorana deduced from quantum theory the possibility of the existence of a very special particle, a particle that is its own anti-particle: the Majorana fermion. That 'Majorana' would be right on the border between matter and anti-matter. Nanoscientist Leo Kouwenhoven already caused great excitement among scientists in February by presenting the preliminary results at a scientific congress. Today, the scientists have published their research in Science. The research was financed by the FOM Foundation and Microsoft. As John Hargraves notes in his introduction, Hermann Broch remains best known, especially in the English-speaking world, for his fiction (in particular the novels The Sleepwalkers (see our review) The Death of Virgil (see our review), two of the towering works of the 20th century), but of the twelve volumes of the German edition of his collected works four are devoted to his essays (and one to his poetry) -- and almost none of that, except the long piece Hugo Hofmannsthal and His Age, has been translated. Geist and Zeitgeist offers a Broch-essay sampler: six pieces (including a chunk of the Hofmannsthal essay) first written between 1933 and 1948 that display many of Broch's preoccupations, interests, and approaches. Kitsch (English pronunciation: /ˈkɪtʃ/, loanword from German) is a form of art that is considered an inferior, tasteless copy of an extant style of art or a worthless imitation of art of recognized value. The concept is associated with the deliberate use of elements that may be thought of as cultural icons while making cheap mass-produced objects that are unoriginal. Kitsch also refers to the types of art that are aesthetically deficient (whether or not being sentimental, glamorous, theatrical, or creative) and that make creative gestures which merely imitate the superficial appearances of art through repeated conventions and formulae. Excessive sentimentality often is associated with the term. I don't see any way to begin a review of "John Carter" without referring to "Through Time and Space With Ferdinand Feghoot." That was a series of little stories that appeared in the magazine Fantasy and Science Fiction from 1956 to 1973 and had a great influence on my development as a critic. In one of the Feghoot adventures, the hero finds himself on Mars and engaged in bloody swordplay. He is sliced in the leg. Then in the other leg. Then an arm is hacked off. "To hell with this," Feghoot exclaims, unholstering his ray gun and vaporizing his enemies. A study by Mikko Tuomi, an astronomer at the University of Hertfordshire, has revealed that the planetary system around the star named HD 10180 may have more planets in its orbits than our own Solar system. Dr Tuomi carried out his analysis as part of the EU research network RoPACS, being led in Hertfordshire. A team of researchers from the Laboratoire Univers et Théorie (LUTH, Observatoire de Paris/CNRS/Université Paris Diderot)(1) coordinated by Jean-Michel Alimi has performed the first-ever computer model simulation of the structuring of the entire observable universe, from the Big Bang to the present day. The simulation has made it possible to follow the evolution of 550 billion particles. This is the first of three runs which are part of an exceptional project called Deus : full universe run (2), carried out using GENCI's new supercomputer CURIE at the CEA's Très Grand Centre de Calcul (TGCC). Google Inc announced a stock split designed to preserve the control of co-founders Larry Page and Sergey Brin over the world's No. 1 Web search engine, asking investors to trust their long-term vision. Diamonds are forever -- or, at least, the effects of this diamond on quantum computing may be. A team that includes scientists from USC has built a quantum computer in a diamond, the first of its kind to include protection against "decoherence" -- noise that prevents the computer from functioning properly. Here is a frightening thriller based not on special effects gimmicks but on a dread that seems quietly spreading in the land: that the good days are ending, and climate changes or other sinister forces will sweep away our safety. "Take Shelter" unfolds in a quiet Ohio countryside with big skies and flat horizons, and involves a happy family whose life seems contented. As computer scientists this year celebrate the 100thanniversary of the birth of the mathematical genius Alan Turing, who set out the basis for digital computing in the 1930s to anticipate the electronic age, they still quest after a machine as adaptable and intelligent as the human brain. An AICN Reader Has Boarded Peter Berg's BATTLESHIP In Tokyo!! An AICN reader named Jake Walsh attended yesterday's Tokyo premier of Peter Berg's bigscreen adaptation/alienificaton of the famous Hasbro game BATTLESHIP. What follows are Jake's thoughts on the film. I've tweaked his contributions slightly to extract a SPOILER or two which maybe wouldn't have been fair to release so far out, but substabntively this is very much his report in full. We deeply appreciate his time and effort when sending this along. His verdict? It's huge, oversized, Bay-esque extravagenza but without the heart and charm of Bay. I'll let Jake speak for himself from this point forward. We can judge for ourselves when BATTLESHIP opens next month. Unveiling the project should make it easier for Google to test the weird-looking glasses in public. As currently designed, they have a horizontal frame that rests on a wearer’s nose, with a wider strip of computer and a little clear display on the right side. So they’re not really “glasses” in the traditional sense at all. New algorithms could enable heaps of ‘smart sand’ that can assume any shape, allowing spontaneous formation of new tools or duplication of broken mechanical parts. The chemtrail conspiracy theory holds that some trails left by aircraft are actually chemical or biological agentsdeliberately sprayed at high altitudes for purposes undisclosed to the general public in clandestine programs directed by government officials. This theory is not accepted by the scientific community, which states that they are just normal contrails, and that there is no scientific evidence supporting the chemtrail theory.